My name is Tron Hawkins and I am the host of This is the XFL Podcast! and all other podcast platforms. Thanks and Happy New Year! Ready for 2020! Welcome to the board Tron. 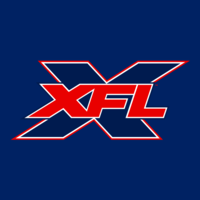 It’s cool to see xfl fans supporting the league. We will probably be seeing more podcasts pop up in the future. Not to be confused with The This is The XFL Show podcast. Which has been a great vehicle for the league now for 11 straight months. Those guys do a tremendous job. The more podcasts, the better. It’s a different world than it was in 2001. Social media will be key in promoting and hyping the league.